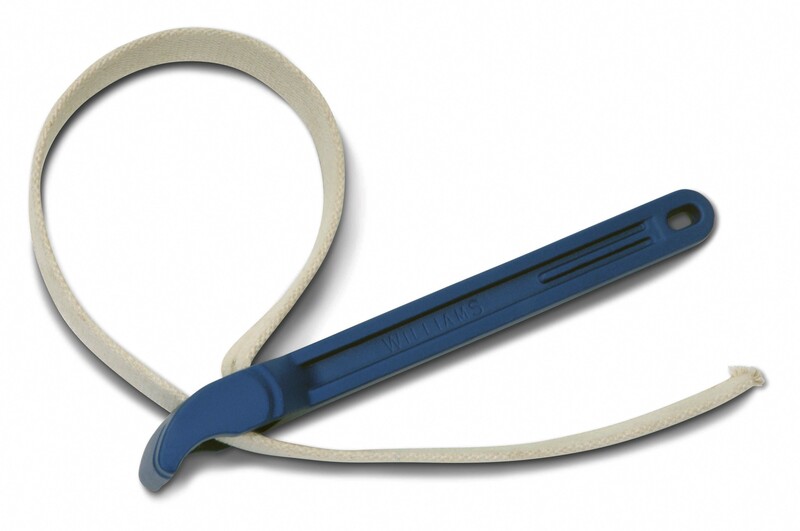 Boa Constrictor: Aluminum strap wrench has heavy duty alloy frame and an extra long strap. 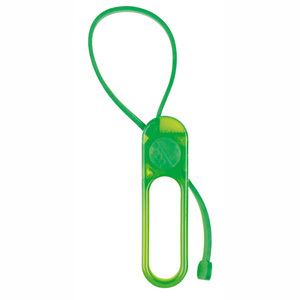 Grips, opens, unscrews / tightens almost any shape without scratching sensitive surfaces. Unique reinforced industrial strength strap has a breaking strain in excess of 2000 lbs. of pressure. Tool 11" capacity up to 10 3/4". 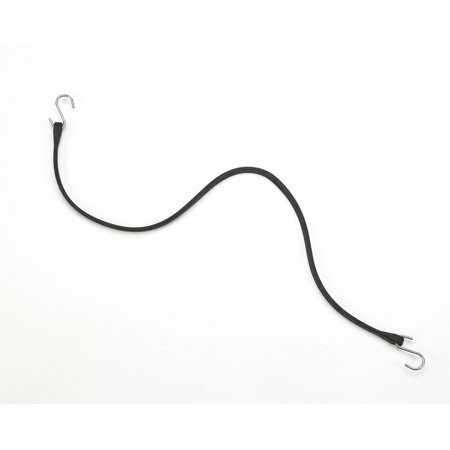 Made in the U.K.
Boa Constrictor: Grips, opens, unscrews / tightens almost any shape without scratching sensitive surfaces. Unique reinforced industrial strength strap has a breaking strain in excess of 2000 lbs. of pressure. Tool 11" capacity up to 6 3/4". Made in the U.K.
Baby Boa: Grips onto round, square and odd-shaped items for effortless turning without scratching. 8 3/4" tool, 4" capacity. 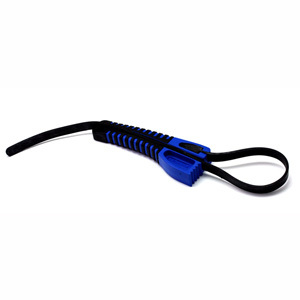 Ergonomic soft grip handle is made from tough polypropylene. 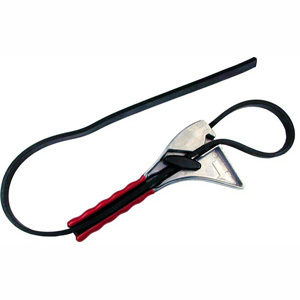 Made in the U.K.
Chain Pipe Tongs 1-1/2" To 8" Chain Pipe Tongs 1-1/2" To 8"
Pipe Tools. Chain Pipe Tongs 1-1/2" To 8". Manufactured by: Williams, a JH Williams Company.. This item usually ships within a few days but may take up to 4 weeks in rare occasions. 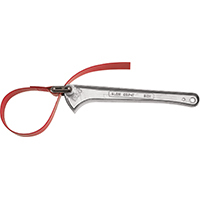 Boa Lollipop Strap Wrench: Grips, opens or tightens almost any shape without scratching. 6" tool, 4" capacity. 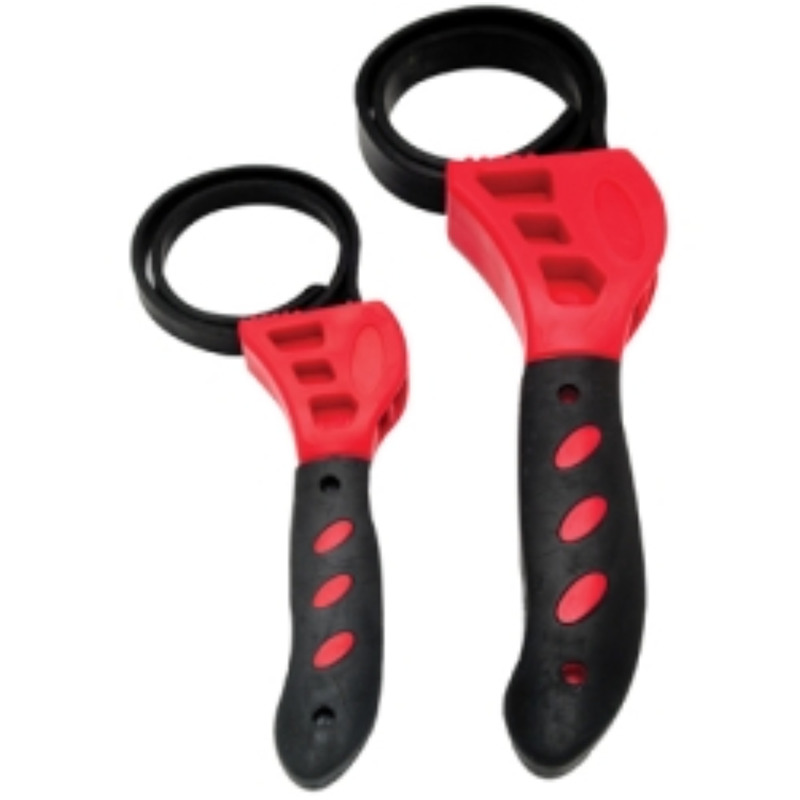 Ergonomic soft grip handle is made from tough polypropylene. Geared toward kitchen use. 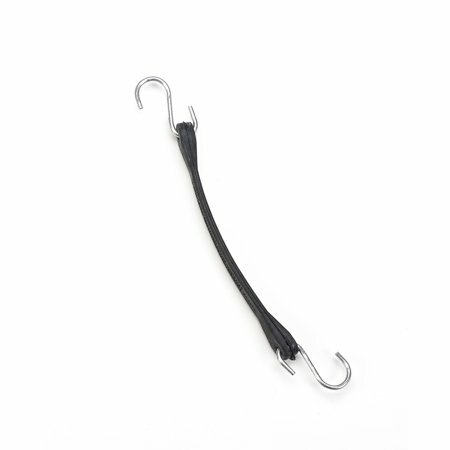 Made in the U.K.
| Rugged Cast Iron Base | Hardened Alloy Steel Jaws | Handy Pipe Rest and Bender | Free Floating Chain Provides For Fast Securing Of Pipe | Pipe Capacity 1/8"�2-1/2"
Chain Pipe Tongs 3/4"- 4" Chain Pipe Tongs 3/4"- 4"
Pipe Tools. 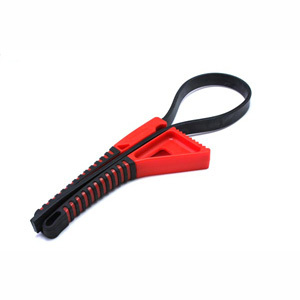 Chain Pipe Tongs 3/4"- 4". Manufactured by: Williams, a JH Williams Company.. Pipe Tools. 12" Strap Wrench. Manufactured by: Williams, a JH Williams Company.. The Heavy-Duty Dual Flashlight Strap is a universal design that will fit virtually any Fire Helmet or Hard Hat. The dual holes located on each side of the strap allow the user to position any flashlight or object up to 1.25+ in diameter in either hole or even both holes at the same time. 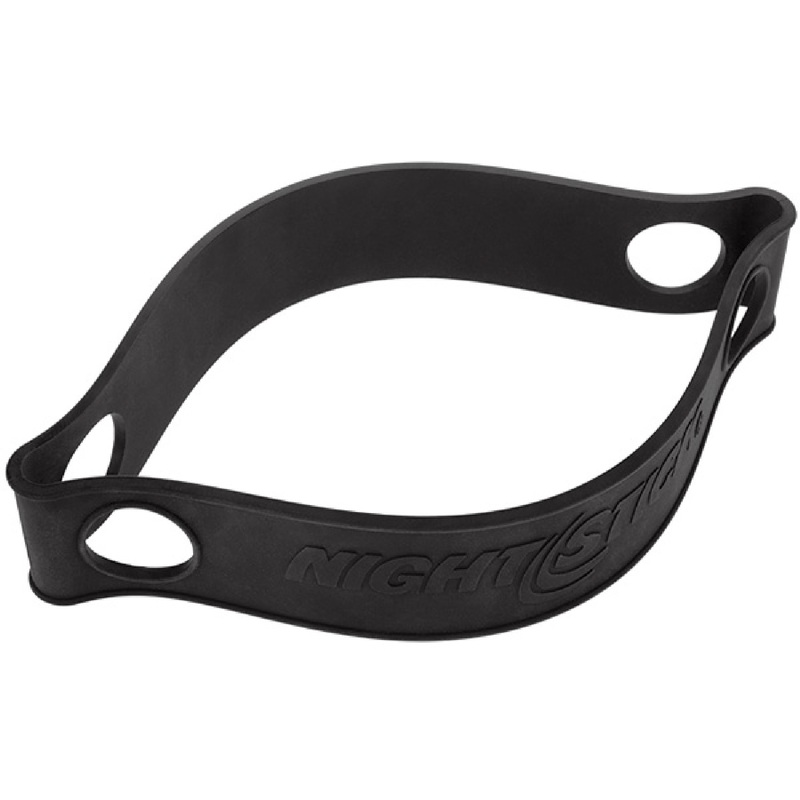 Constructed from thick-walled black silicone rubber, the chemical resistant and waterproof NS-HSR1 is designed to stay in place even in wet conditions. The NS-HSR1 meets requirements of NFPA-1971-8.6 (2013). Strong, woven nylon strap gives tight grip. Two models available for plastic pipe. 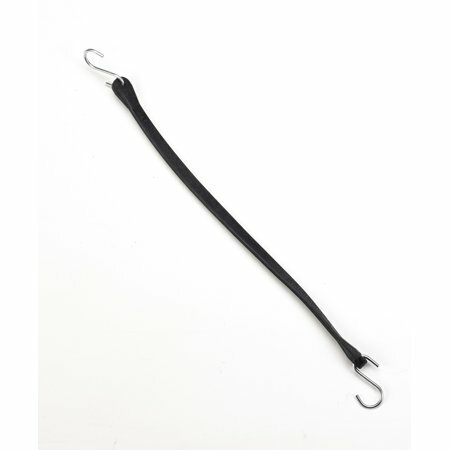 Polyurethane-coated strap prevents scratching. Replaceable straps available. Strap designed for use with plastic pipe. 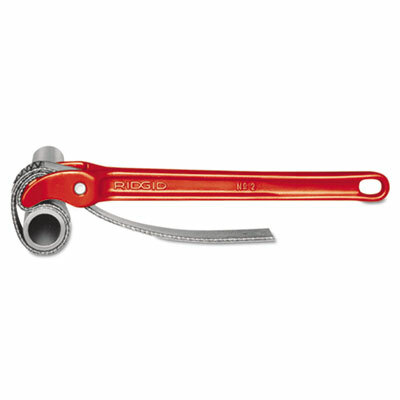 Wrench Type: Strap; SAE/Metric: SAE/Metric; Opening Size: 5"; Opening Type: Adjustable. Chain Pipe Tongs 1" To 6" Chain Pipe Tongs 1" To 6"
Pipe Tools. Chain Pipe Tongs 1" To 6". 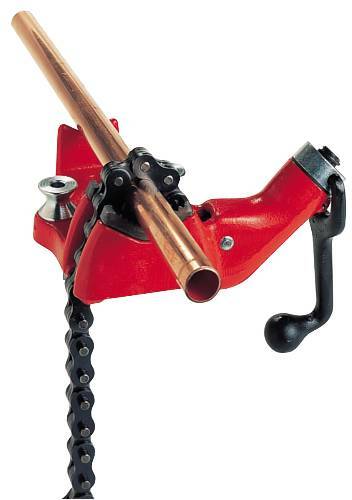 Manufactured by: Williams, a JH Williams Company..
Chain Pipe Tongs 2" To 12" Chain Pipe Tongs 2" To 12"
Pipe Tools. Chain Pipe Tongs 2" To 12". Manufactured by: Williams, a JH Williams Company..